Gladstone placed four players -- junior outfielder Damian Alvarado, sophomore infielder Austin Conner, junior catcher Otis Lundgren, and senior pitcher Logan Saltares -- on the all-Tri-Valley Conference baseball first team after the Gladiators went 10-5 and finished third in the league race. 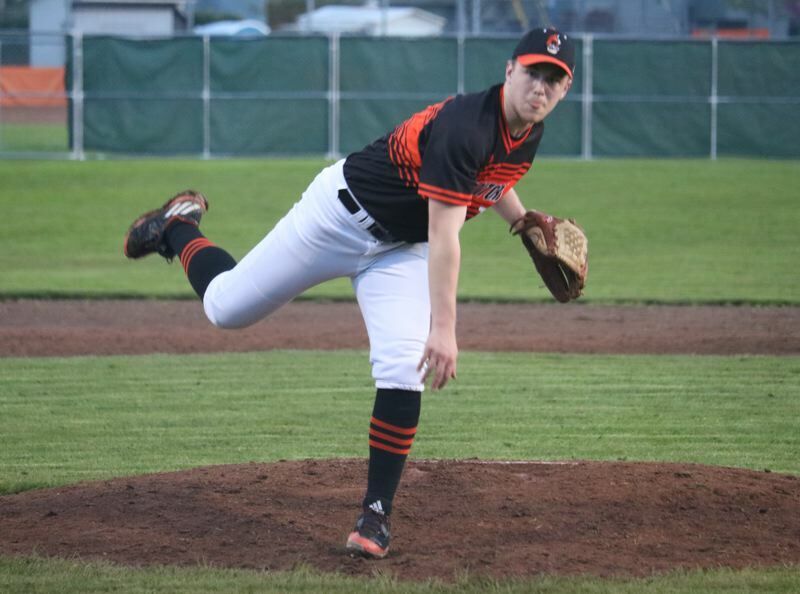 League co-champion Estacada swept all the Tri-Valley's top awards as Sam Blankenship was selected Player of the Year, Andy Avants was named Pitcher of the Year, and Andrew Higgins was recognized as Coach of the Year. Alvarado, hitting second in the Gladstone lineup, had hits in 10 of 15 league games and batted .356 (16 for 45) with two doubles, six RBIs, and 16 runs scored. Conner batted .361 (13 for 36) with 10 RBIs, and Lundgren batted .313 (15 for 48) with two doubles, two triples and 12 RBIs. Saltares, the senior right-hander, started five league games, going 4-0 with a 1.33 ERA. In 31 2-3 innings pitched, he allowed 11 runs (six earned runs) on 29 hits with eight walks and 19 strikeouts.